After much global hype, the Bangkok Art Biennale 2018 is finally here. Hailed as one of Bangkok’s biggest cultural events in the past 10 years, the Biennale is a global-scale arts festival that sees the work of world-renowned artists exhibited in key venues across the city, from Silom to Sukhumvit and the artsy riverside area. Taking place from October 19 until February 3 of next year, guests can expect a showcase of over 200 masterpieces by 75 Thai and international artists. The Bangkok Art Biennale follows the theme ‘Beyond Bliss’. The event aims to serve as a platform for artists to engage, share their work and express their views towards socio-political and environmental issues. Offering Bangkokians free access to works by leading artists from all over the globe, as well as workshops and art-related talks, the Bangkok Art Biennale also hopes to spark appreciation and inspiration among audiences. 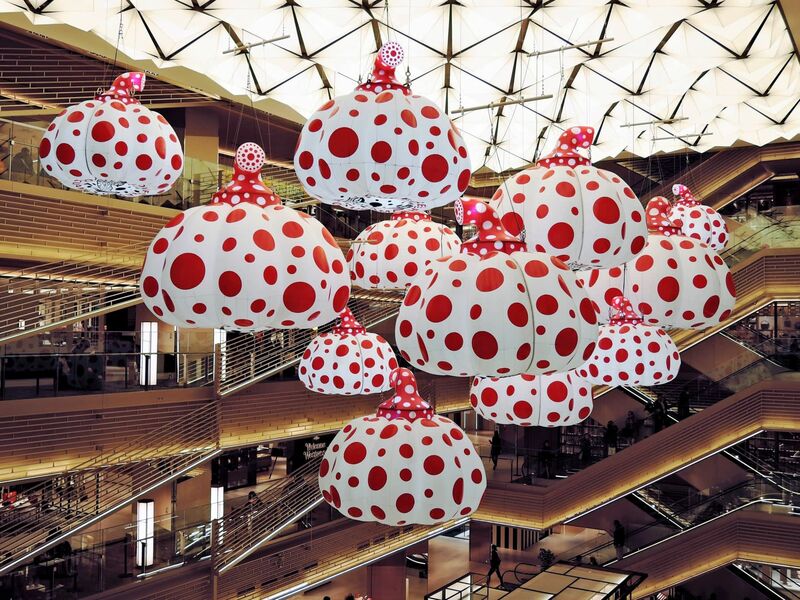 In the latest press conference, it was announced that highlighted pieces will include mixed media installations by controversial Chinese-French artist Huang Yong Ping, interactive ‘Standing Structures for Human use’ by Marina Abramovic and of course, hanging pumpkins by Japanese polka dot queen Yayoi Kusama. They are joined by familiar faces in our local Thai art scene, such as Wisut Ponnimit, illustrator of the daring Mamuang cartoon character. At the press conference, the minister of tourism and sports, Weerasak Kowsurat, explained that the event "will help elevate Bangkok to a tourist destination that serves as a centre of arts and culture"—a sentiment shared by Thapana Sirivadhanabhakdi, president of Thai Beverage, who has played a large role in the creation of the Bangkok Art Biennale 2018 foundation. True to the goal of giving deeper cultural meaning to our tourism industry, the Bangkok Art Biennale sees contemporary artwork set against 20 significant venues throughout Bangkok. On the historical front, creative pieces will be exhibited in key temples including Wat Arun, Wat Pho and Wat Prayoon. Five-star hotels such as The Mandarin Oriental and The Peninsula Hotel are also on the map, along with the city's most prominent shopping malls—The EmQuartier, Siam Paragon and Central Embassy. In order to help coordinate the event and ensure the city-wide affair runs smoothly over the four months, Thai Beverage and One Bangkok have collaborated to create the BAB BOX, an information centre situated in the new One Bangkok building complex. Guests can visit the space for detailed information regarding exhibition venues, schedules, transportation options as well as background information on the artwork and the faces behind them. There will also be over 10 pieces on display in the surrounding space. Launched in conjunction was the DEK BAB initiative, which offers students and other individuals interested in the field of art a chance to participate in event curation and gain invaluable knowledge and experience through working directly with artists. Find out more about Bangkok Art Biennale 2018 at bkkartbiennale.com and @bkkartbiennale on social media.